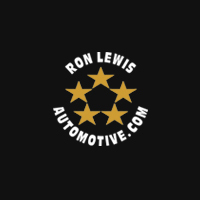 Ron Lewis Ford in Beaver Falls (formerly Morrow Ford) is located in Beaver Falls, Pennsylvania and is right across the street from our Ron Lewis Kia Beaver Falls dealership. Ron Lewis Ford Beaver Falls has been in business for over 50 years and part of the Ron Lewis Automotive Group for over 32 years, joining in 1986. We are pleased to offer our customers exceptional Ford vehicles like F-150 trucks, the Ford Focus, the Ford Escape and the sporty Ford Fiesta. We also offer Ford Certified Service and Parts Departments — as well as a full Collision Center that can repair any make or model. We’re your “Neighborhood Ford Dealer” — located a short drive from Moon, Sewickley and Pittsburgh via Route 65 towards Beaver Falls.